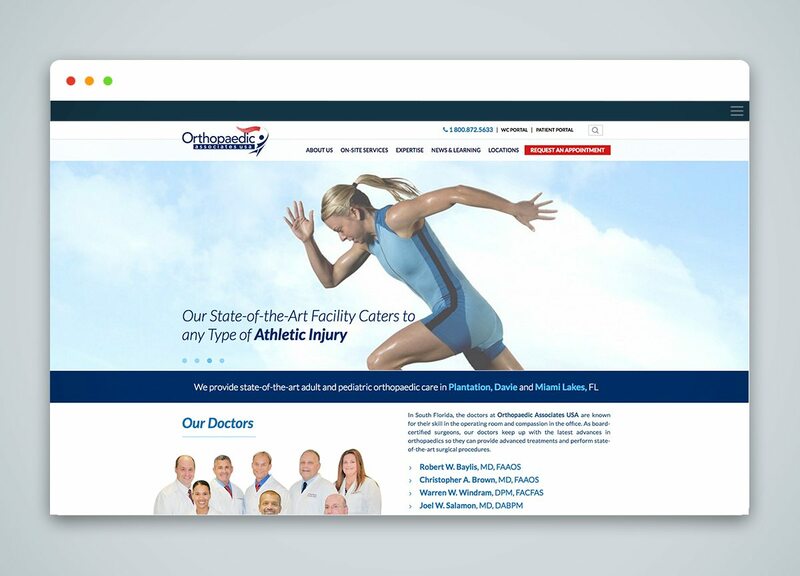 Orthopaedic Associates USA from South Florida needed a responsive web design that their user base would find easy to navigate. We took on the challenge head on, focusing on the main parts of the site being highlighted. The redesign of the website had to convey the OAUSA pledge to provide the highest quality medical care for the South Florida area. Redesigning a website always starts off with the architecture – building a solid foundation and having smaller pieces fall into place afterwards. OAUSA’s unique selling point is its high quality medical care, which is provided by their physicians and entire medical staff. 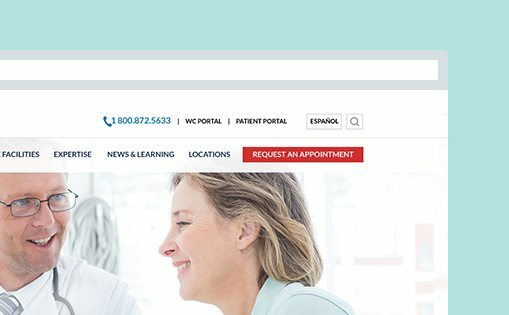 The first section of homepage content puts focus on physicians and offers direct links to their pages. 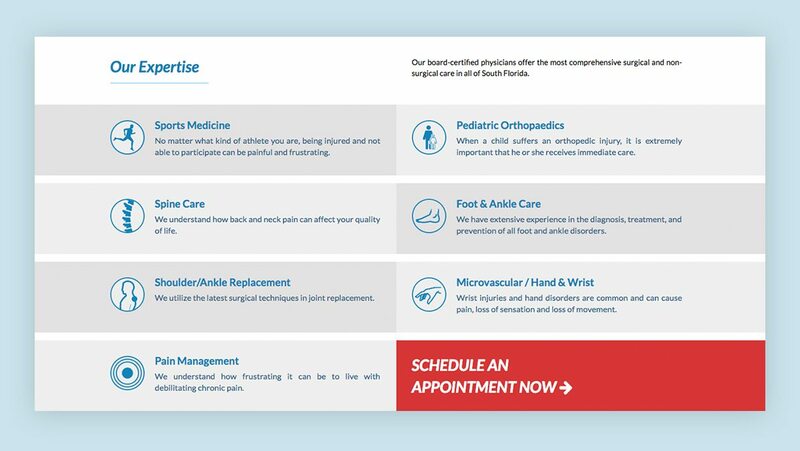 We know that patients choose medical facilities based on their attending physicians, so we provided links to the doctors’ and physical therapists’ individual profiles in the About section. All medical services provided by OAUSA are accessible through the homepage. Individual pages can be reached from the top navigation bar. 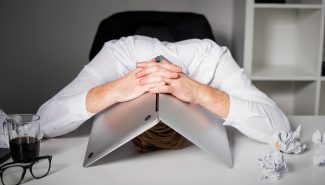 While our larger focus has included several calls to action and drawing in new business, existing users can reach their login in the above menu and lower section of the homepage. The logins do not take priority in the design, and can be viewed in a smaller font. The phone number is accessible at all times, in the top menu.